The JBL SRX815P Active Speakers is an active 3-way PA speaker, with a 15" woofer, 2000 watt output, and a 36Hz - 21kHz frequency response. The SRX800 Series is the next generation high performance powered loudspeaker system comprising three full range and two subwoofer models with an array of features that elevate the SRX800 Series to the best in class of all competitive systems. 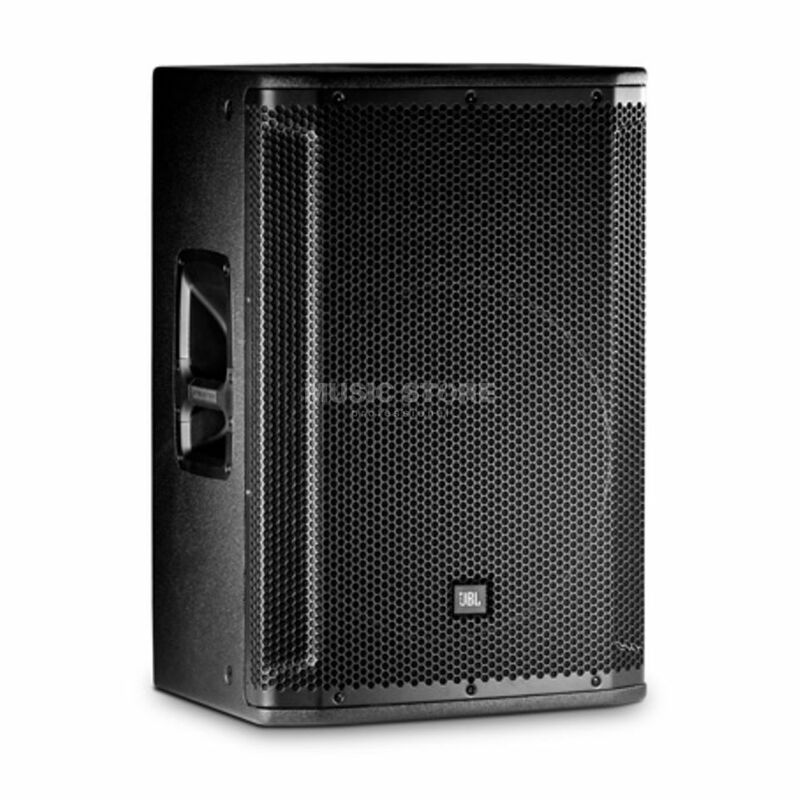 The full range 15" two-way, SRX812P features legendary JBL Drivers, proprietary 2,000 Watt Crown amplification, Crown Front-End DriveCore Technology, premium JBL user-configurable DSP, V5 Tunings compatible with Vertec and VTX touring systems, and HiQnet Network control options via iOS and Android applications. Drawing on JBL’s long history of groundbreaking technology and loudspeaker design, the SRX800 Series meets the needs of touring houses, installations, and the most demanding live sound applications ensuring they can deploy a no-compromise, all-in-one solution featuring legendary JBL sound and performance, a wide array of configurability, and compatibility with JBL’s flagship touring systems. A full suite of User Controllable DSP driven by the SRX800 Series powerful onboard 400MHz Sharc DSP includes 20 PEQ’s, 2 seconds of delay, signal generators, Input mixing, amplifier monitoring, and 50 User Presets. In addition, the system can incorporate V5 JBL Tunings providing compatibility with our flagship Vertec and VTX touring systems. An integrated LCD screen supports fast setup and configuration. Every detail in the SRX800 Series was purposefully designed and thought through with full consideration for its intended use. Ergonomically designed handles support an easy, non-fatiguing grip for streamlined handling. M10 suspension points, indexed feet, and pole/tripod mounts support a wide, flexible array of configurations. JBL’s patented Differential Drive Technology ferrite drivers incorporate 3" voice coils with lower mass ferrite magnets for reduced weight, increased power handling, exceptionally low distortion and extended low frequency response. JBL’s 2432H is the only neodymium 3" voice coil compression driver in this class, delivering very high power levels and smooth, crystal clear sound. Each model is powered by Crown proprietary front-end DriveCore technology featuring a massive 2000W Power Rating, the highest power rating in this class of loudspeakers. With a remarkable 103dB signal-to-noise ratio, the SRX800 Series is capable of massive sound pressure levels with exceptional headroom, very low distortion and absolute clarity throughout its frequency range.